Rosebarne is located in Haverhill. A market town for almost 1000 years, Haverhill still hosts a provisions market each Friday and Saturday throughout the year. The town is a popular shopping centre, with a combination of national and local retailers lining its streets. All rooms have televisions complete with Freeview and DVD players, Kettles with full Tea and Coffee facilities supplied and electric clock radios. The Town Hall Arts Centre is worth a visit. Three times a year, locally there is a French Market, that is not to missed. The Casablanca Guest House is a 9 bedroomed, all en-suite accommodation, renowned for friendliness and an excellent breakfast. 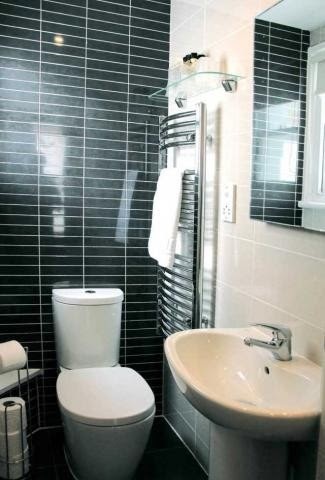 All 9 bedrooms are centrally heated and equipped with hospitality tray, 14" flat screen Freeview TV, towels, soap, shower gel, shampoo and hair dryer. The lounge area is a relaxing space with couples and family’s needs in mind and boasts comfortable sofas, a 22 inch flat screen TV and also a toy box to keep the little ones occupied. 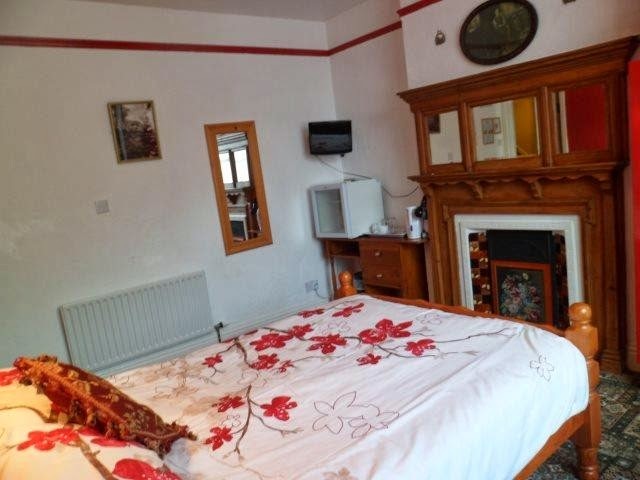 Ideally situated on Hornby Road, central Blackpool 5 minutes walk from the Winter Gardens, Blackpool Tower, Promenade, North & Central Piers, Grand Theatre, Sea Life Centre, Houndshill Shopping Precinct and 2 minutes from Stanley Road and H&A Working Mens Clubs. Stanley Park, Blackpool Zoo and Model Village are a little further afield but still well worth a visiting. The Pleasure Beach, Sand Castle Water Park and South Pier are a longer stroll. Why not take a trip on a Heritage Tram or visit Cleveleys or Fleetwood on one of Blackpools new supertrams. 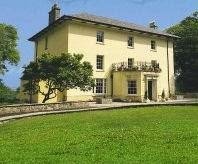 Slate Mill Lodge provides 4* Self-Catering and Bed and Breakfast accommodation in beautiful Pembrokeshire. A completely restored 14th Century corn-mill. The lodge is situated just minutes from Dale in superb peaceful surroundings, close to many local attractions, bars and restaurants. Guests have the option to let a complete apartment or a private en-suite bedroom. Slate Mill Lodge is open ALL YEAR, and is the perfect location for guests visiting Skomer Island for the puffins and bluebells, or to the other islands of Skokholm and Grassholm. The Pembrokeshire Coast Path National Trail covers 186 miles of the most spectacular coastal scenery in Britain. It was Wales' first long-distance route, and is one of 15 premier long-distance National Trails in England and Wales. It can also be enjoyed in shorter sections, accessible to people of all ages and abilities, with the small coastal villages strung out along its length offering welcome breaks and added enjoyment. Come and stay with us and see the stunning scenery and walk along the river Eden, we offer good food and a friendly atmosphere to all. 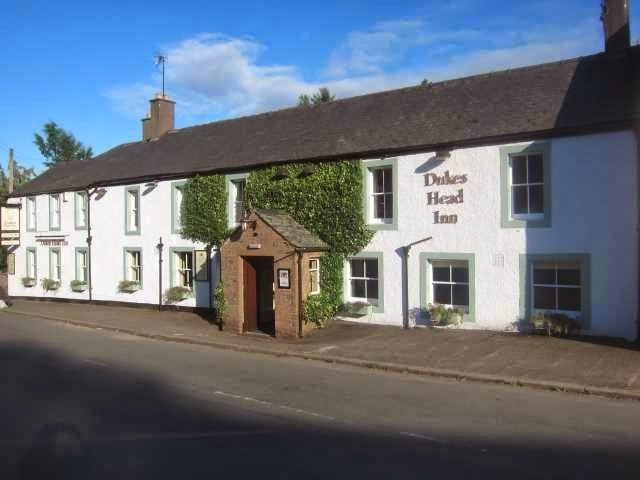 The Dukes Head Hotel is located at Armathwaite on the river Eden, which is not only beautiful but well known for its Trout and Salmon fishing. Armathwaite railway station is just 15 minutes from the Hotel, jump on for the Settle to Carlisle link. We offer good wholesome food, all meats etc are locally sourced, and all our pies are proper pies which are encased in a shortcrust pastry case and change weekly. We have a fixed menu as well as a specials board which again changes throughout the week, when it's gone it's gone. After your day of adventure in Cumbria, why not join us for a drink, perhaps try some of our real cask ales! Take a look at our events listings to view the up and coming events at The Dukes Head Hotel. 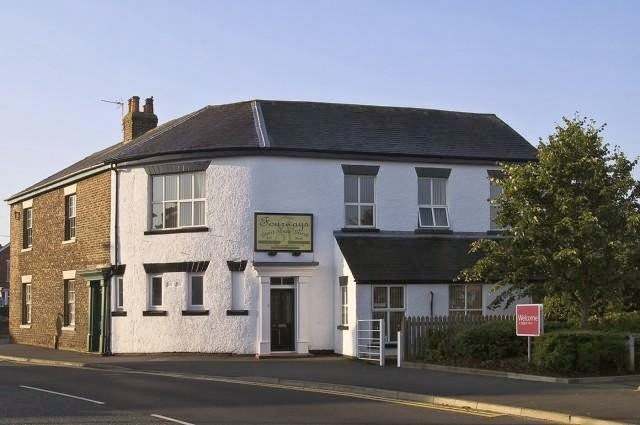 Welcome to Fourways Guest House, where we are only a 2 minute walk from Thirsk Town centre and the Race Course. 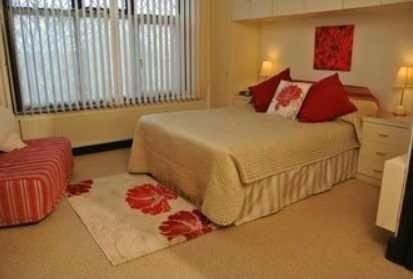 Our aim is to provide you with a comfortable stay, with the extra choice of Ground floor accommodation. However you decide to explore the area of Thirsk, North Yorkshire, whether by car, bus, bicycle or foot we feel sure you will find your stay at Fourways Guest House a friendly and memorable experience. There's plenty to do close by with both the town centre and the race course within a 2 minute walk of our property. All prices include full English breakfast. 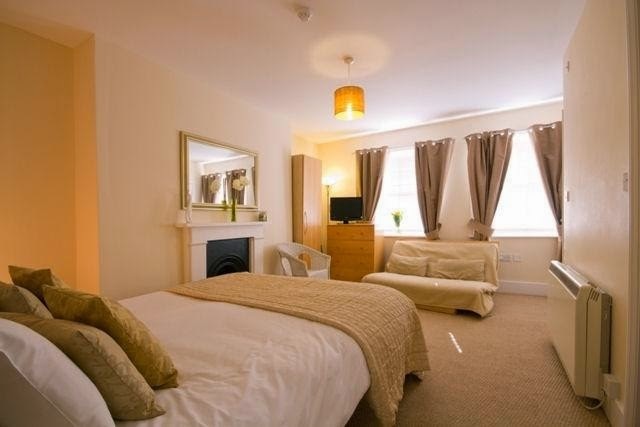 There are 10 rooms to choose from including single, twin, double and family rooms. 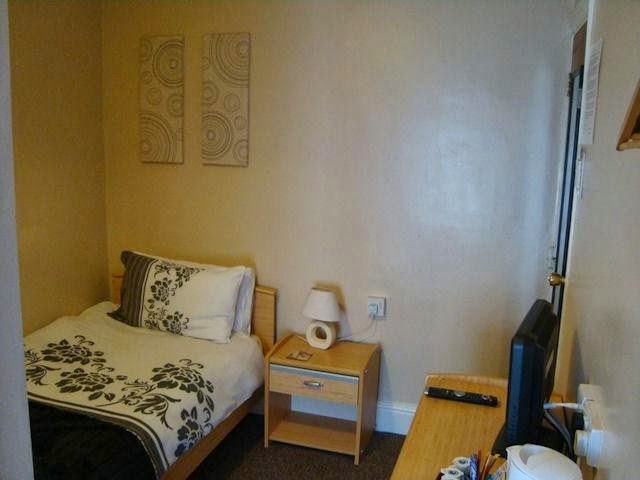 Most of the rooms boast en-suite facilities and some are on the ground floor. 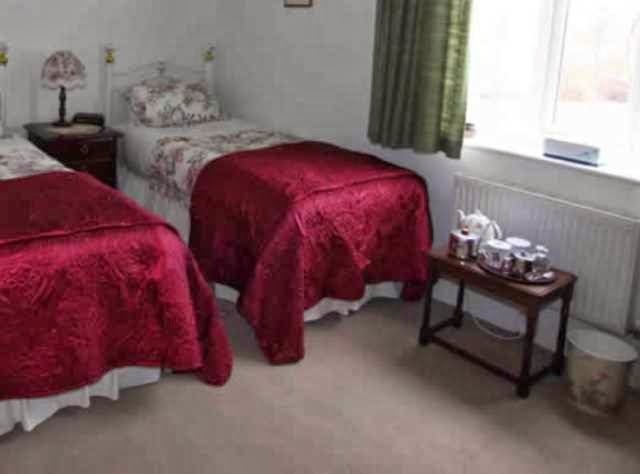 All rooms are tastefully decorated and have a hospitality tray with tea, coffee, hot chocolate and biscuits, as well as Wi-Fi internet access and central heating. A full cooked breakfast is served each morning with vegetarian and special diets catered for on request. Nestled in the Stunning North Yorkshire countryside and with a splendid backdrop of the rolling hills on one side and lush vales on the other, Thirsk and Northallerton Golf Club is one of those parkland courses that is simply a pleasure to play. It is set in a richly agricultural area, and offers superb views of the Hambleton Hills to the east and Wensleydale to the west. Located just a few minutes away from the A19, the course is easily accessible from the Easingwold/Weatherby and Teesside areas, as well as the nearby market towns from which it takes its name. 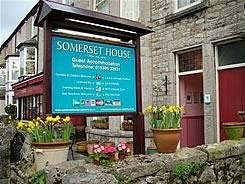 Somerset House B and B is a guest house providing top quality bed and breakfast accommodation, with a licensed bar and evening meals from our mini-bistro. Far from the stress of modern life, road traffic and industry, our fine old, stone built, 19th Century guest house lies in The Tranquil Edwardian resort of Grange-over-sands, with its charming independent shops, cafes and fragrant parks and gardens. Here on the southern tip of Lakeland, The Cartmel Peninsula overlooks the vast expanse of Morecambe Bay. The piping call of the Oystercatchers and the springtime purple orchids are icons of this stunning limestone country. Only 15 minutes from Windermere Lake. In the sound tradition established by our Victorian founders, John and Sibylla Dibble, in 1882, Somerset House offers a warm and friendly welcome to visitors and has done this for more than 100 years. The promenade area where you can ride your bicycle also has tennis, crazy golf, a magnificent lake with exotic wildfowl, an extensive children’s play area, skateboard park and cafe. Further afield within a few miles can be found Ducky’s children’s farm with indoor play area, boating and steamer cruises on Windermere, fishing for trout on the beautiful Esthwaite fishery, steam trains and motor museum near Haverthwaite and the secluded sophisticated beauty of Coniston Water, home of John Ruskin and Alfred Lord Tennyson. 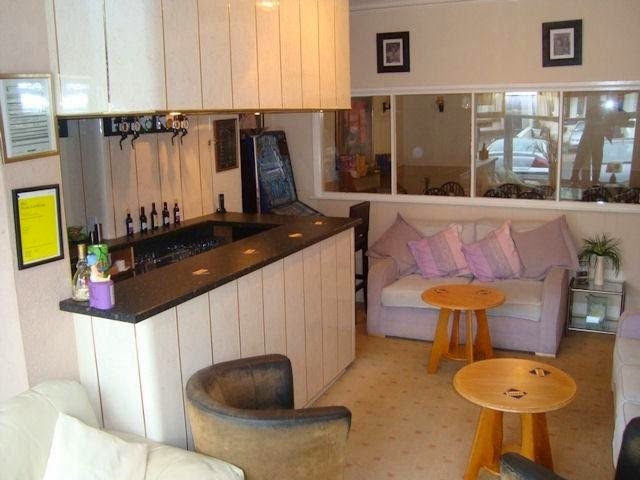 Sunnyside offers a bed and breakfast service with breakfast right in the heart of Skegness, close to Skegness Pier and the town centre. Skegness has many attractions for the young and old and plenty for the family too, varying from Natureland, Fantasy Island, Eastgate Market paddling in the sea or lazing on the beach. 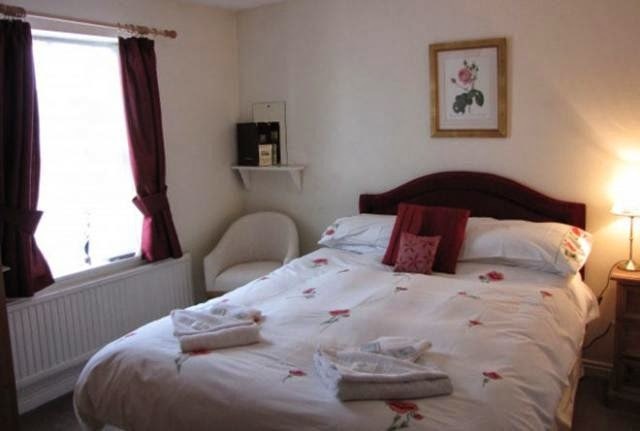 Here at Sunnyside Bed and Breakfast we have rooms to suit all, from large family rooms, double rooms and a ground floor with easy access. 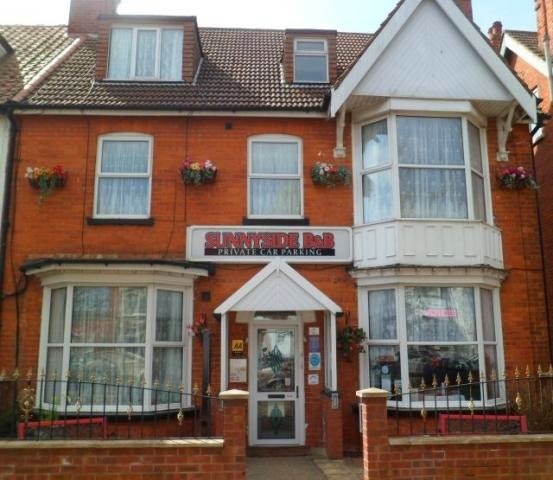 Sunnyside Bed and Breakfast is only a 2 minute walk from Skegness Town Centre, The Coach and Train Station and the Skegness Seafront. We also have our own private car park to suit your travel arrangements. Skegness is the largest resort town on the Lincolnshire Coast and has been a premier holiday destination for over a hundred years. Hillside House is a comfortable converted old farm building, overlooking some of the most beautiful rolling East Leicestershire countryside. 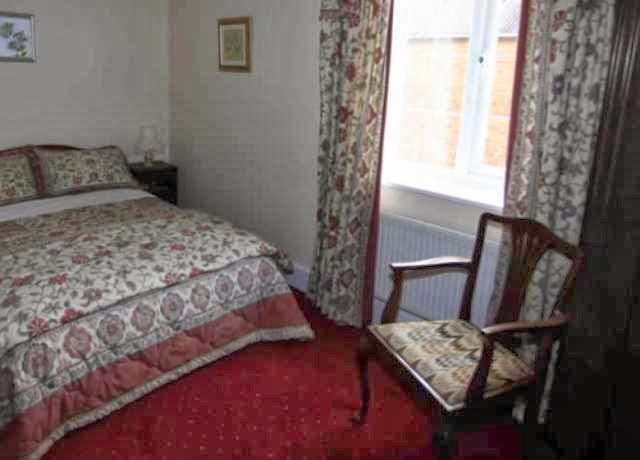 There are three very well-appointed large bedrooms with the usual amenities, tea/coffee making facilities, hairdryers, colour TV's, radio alarms etc. There is also a well furnished guest's lounge and dining room. Off road parking is also available to our guests. Burton Lazars, one mile south of Melton Mowbray, is so named because of a Leper hospital, which existed in the village from 1117 until it was closed by Edward VI in 1547. It was administered by the Monks of St Augustinian Order and dedicated to St Lazarus of Jerusalem. Melton Mowbray is a lively market town, famous for Stilton cheese and Pork Pies. There is a weekly livestock market and a street market that takes place on Tuesdays and Saturdays. Belvoir Castle, home to the Duke and Duchess of Rutland, Burghley House, Stamford and Rutland Water are all within easy reach, as are the cities of Nottingham and Leicester. Rated No.1 in The Independent's top 50 B&Bs! 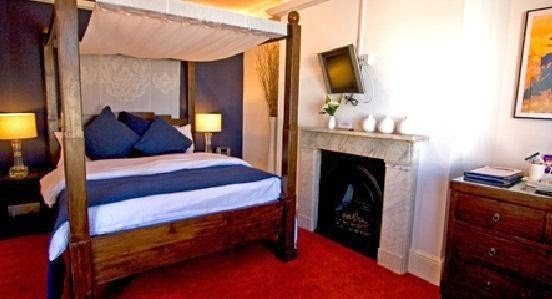 Set in a beautiful Grade II-listed Regency villa just 50m from the sea, this boutique guest house in Eastbourne, Sussex has six modern suites, each designed to the highest standards with luxurious bedrooms, spacious bathrooms and separate kitchens. 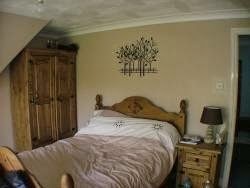 And if you don’t fancy self catering, opt for bed and breakfast for a touch of pampering. Several of our larger suites offer family friendly accommodation with futons, fold out beds or sofa beds for the children. 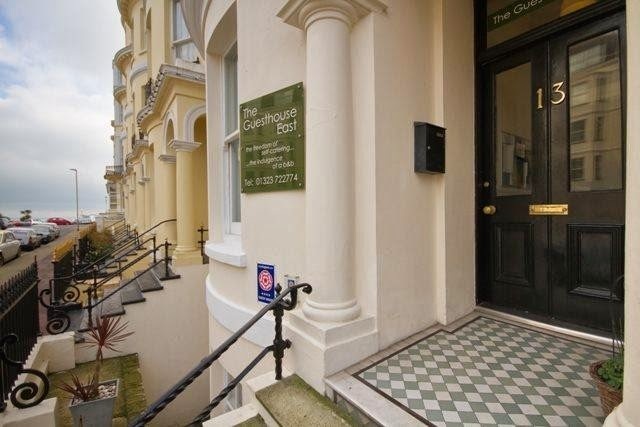 The Guesthouse East, set in the heart of Eastbourne just 50m from the beach and minutes from the pier, has six self catering, modern, stylish and spacious holiday suites. We’re just across the road from our lovely clean beach – voted in the top ten in the UK by Aol travel and featured on TV as exceptionally family friendly. Eastbourne is a fantastic seaside holiday resort. This Sussex town nestles at the foot of the South Downs and Beachy Head, attracting over four million visitors each year, 25 miles from Brighton, and 17 miles from Hasting. As well as being famous for its beaches, Eastbourne boasts over five miles of promenade, running from the Downs all the way down to the magnificent Sovereign Harbour, with its selection of restaurants, bars and shops. 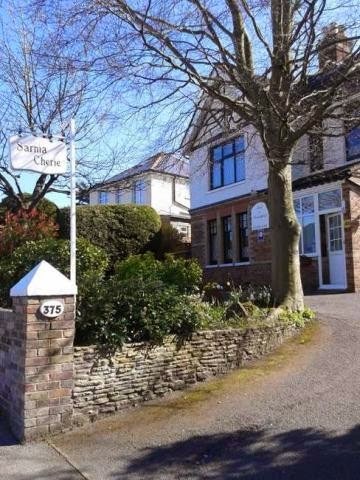 Sarnia Cherie is a lovely detached property built in the early 1900's and has been welcoming guests for over fifteen years. We offer traditional surroundings with all the comfort and hospitality of a modern Guest House complete with off road parking. Sarnia Cherie offers year round Bed & Breakfast accommodation. A warm friendly welcome is always guaranteed and providing a comfortable stay is our top priority. Start your day in our bright and cheerful Breakfast Room, where breakfasts are freshly cooked to order using local produce where possible. We offer full English and Vegetarian breakfasts both accompanied by a wide choice of cereal, juice, tea, coffee, toast and preserves. All guests receive a warm and friendly welcome, whether you are just passing through on route to further destinations or staying a while to enjoy the wonderful attractions that this area has to offer. We are situated just a five minute drive from Poole Ferry Terminal, Rockley Park, Upton Country Park and the exciting Poole Quay. 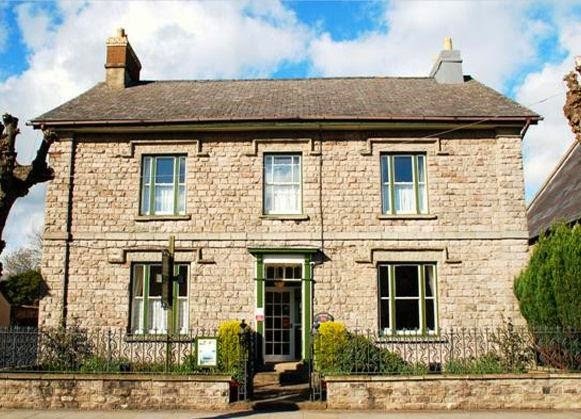 Rachel and David assure you of a friendly welcome and a comfortable stay at their bed and breakfast, Ludlow - Haynall Villa. 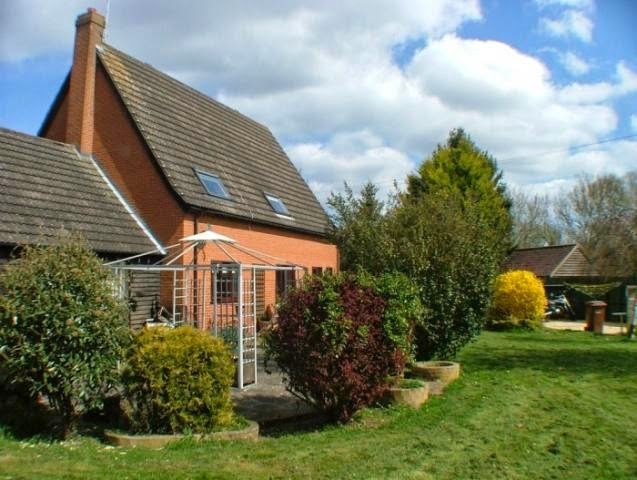 Haynall Villa is ideally situated for country walks around the Parish of Little Hereford, fishing in our privately owned carp pool, bird watching or visiting the working arable farm. Nearby are walks in the Mortimer forest. We are a convenient base from which to explore the picturesque Teme Valley with its timeless villages and market towns, notably Ludlow. The historic town of Ludlow is also known for it's annual Shakespeare production in the castle grounds and it's summer festival of food and drink. Close by are several fine houses: Burford House Gardens, Berrington Hall and Croft Castle owned by the National Trust, and Stokesay Castle. Less than an hour's drive away is the World Heritage Site of Ironbridge Gorge and, further south, the Severn Valley Railway. At a similar distance are the cathedral cities of Hereford and Worcester, the Malvern Hills and nearer to Haynall Villa, the South Shropshire Hills, both the Clee Hills and Church Stretton with the beautiful Cardingmill Valley. In addition there are many other attractions, activities and trails such as the Black and White Village Trail. Situated on a working farm in the middle of a conservation village, our home has been in the family for many generations and dates back to the early 1800’s. We offer both bed and breakfast and self catering accommodation. Self catering (4 Star) is a relatively new venture for us since we renovated an old stable five years ago, but our bed and breakfast (4 Diamond) has now been in operation for over 15 years. We like to pride ourselves on looking after our visitors and giving excellent value for money. We are a homely family business and a warm, friendly welcome is assured. 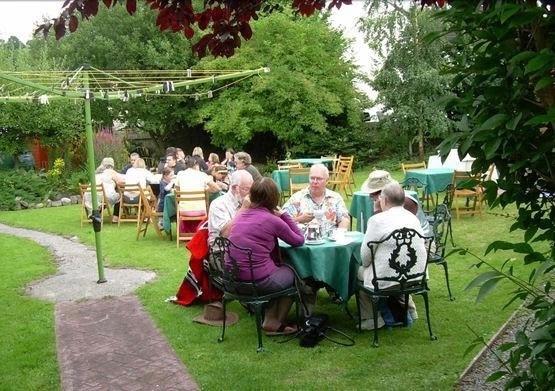 There are many excellent restaurants and pubs in the area where you may enjoy a lunchtime or evening meal. Books and maps of this area are available for loan from us. Rapid Horizons is just on the door step, where you can take part in all sorts of extreme sports, such as Rafting, Kayaking and Tubing. Based on the River Derwent, Derbyshire. Jump on board for a splashing time. 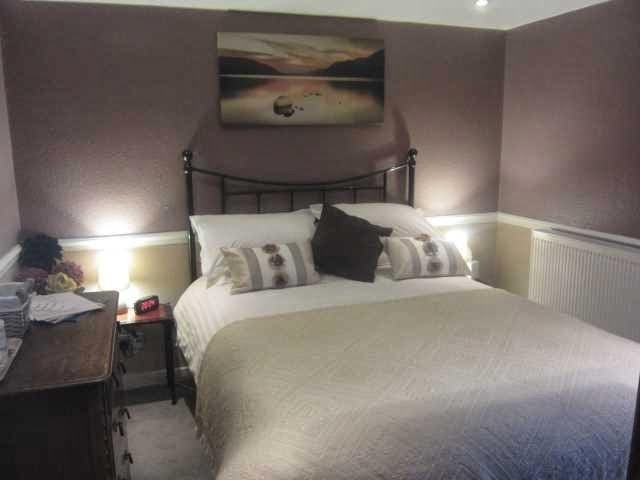 Stockghyll Cottage bed and breakfast in Bowness on Windermere is a fantastic place to stay in the beautiful Lake District, also an ideal place to stay near Lake Windermere. 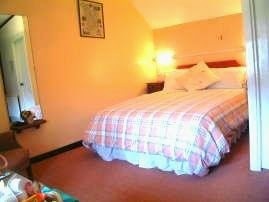 We have three en-suite rooms to offer you. There are two double rooms with a Lake View, of which one has a king size bed, and a double with a view into the woods towards the waterfall at the side of the cottage. All guests get a scrummy breakfast. On our doorstep are lovely woodland walks and lakeside paths to follow together with lots of Lakeside attractions. Portclew House is a grand Georgian Country Mansion set in three acres of grounds. 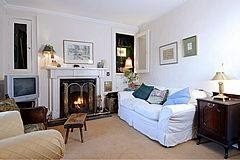 This ideal location in the Pembrokeshire National Park is just a stone's throw to the beautiful bay at Freshwater East. A good, hearty Aga cooked Breakfast will start your day. On more pleasant days you may wish to eat al fresco on the balcony which adjoins the dining room. We are situated on the coastal footpath and accommodate the walkers in this area by providing packed lunches, clothes drying facilities, luggage collection etc. Pembroke Town is just a few miles away when a visit to Henry VII's birthplace at Pembroke Castle is a must. Bosherston lily ponds should not be missed nor St. Govan's Chapel. We are ideally located for all beach lovers and water sport enthusiasts who should visit the bays at Freshwater East, Manorbier, Tenby, Broadhaven South, Freshwater West and not forgetting the paradise found at the hidden bay of Barafundle. Families will want a day out at Oakwood Theme Park which is just 15 miles away and where some of the biggest UK rides can be found, or at Heatherton Country Park, where you can try your hand at such activities as golf, archery, go-karting and paint balling. Folly Farm is a firm favourite with our younger guests. 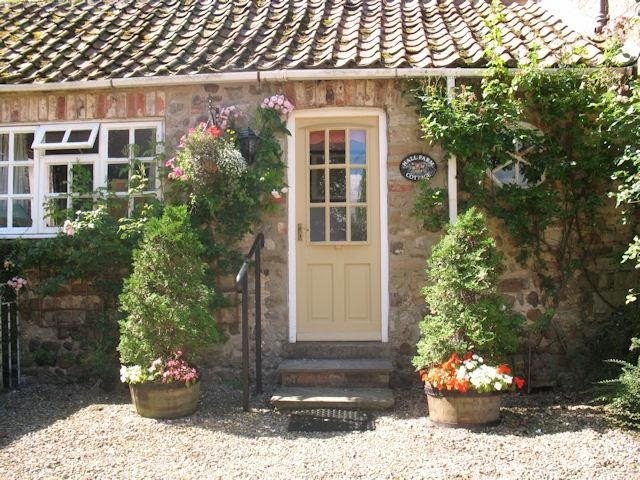 Self Catering Cottages are also available in the grounds of the guesthouse. 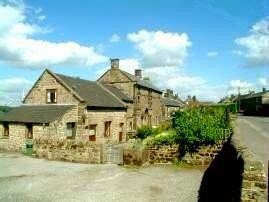 Hall Farm is a non working farm overlooking fields in the picturesque village of Bishop Monkton in North Yorkshire. 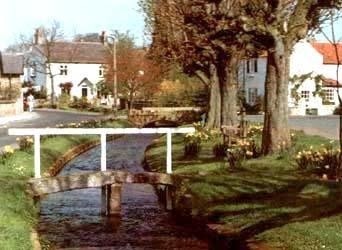 Bishop Monkton with a winding stream and ford has two excellent country pubs serving good food, a general store that is open every day, an art gallery and a hairdresser. There is also a church and a chapel. On the edge of the village is a new village hall with cricket and football pitches, a county level flat green bowling green, two croquet lawns and a children’s play area. The surrounding countryside offers excellent opportunities for walking, bird watching, angling and has numerous good golf courses close by. Harrogate is an attractive floral spa town with a theatre, cinema, and many antique shops. The Northern Horticultural Society Gardens are at Harlow Carr. Ripon is an ancient city with a 12th Century Cathedral and a large Thursday Market. There is also a Farmers Market on a Sunday once per month. The accommodation comprises a single storey barn within Hall Farm grounds, suitable for two people. 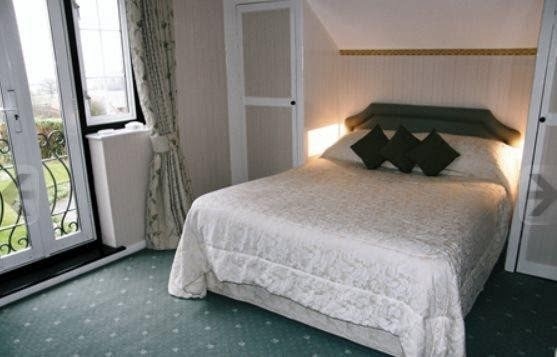 Deluxe, stylish Boutique Guest House, one of Brighton's premier B&B's, situated in a central location perfectly positioned within walking distance of all the attractions of Brighton. Built in 1888 this Victorian Town House has been refurbished to a very high standard. Clean and bright, home from home, with a stylish contemporary feel. Given a Breakfast Award and a Gold Award for outstanding customer service by Visit Britain for the past 6 years. Comfort and luxury are the main criteria and of course those little extra touches that we hope add to your experience, like our oversize duvets to lose yourself in! and the massive fluffy bath sheets which smell as good as they look. For that special occasion when some bubbly and chocolates or flowers are required please let us know your budget and we will do the rest. We are located in Brighton's famous Kemptown district, one of the most vibrant and cosmopolitan areas of our coastal city. Set in a boutique hotel style ambiance with ten bedrooms to choose from all of which are equipped to an extremely high standard. Our Brighton Bed and Breakfast is just minutes away from the world famous Brighton Pier, The Brighton Wheel and Brighton beach. The Brighton Pavilion and the Brighton Lanes are just a few minutes walk. Also close by is Queens Park and Brighton Racecourse is just a short ride by car, taxi or bus. We are surrounded by all styles of cafes, bars, bistros and restaurants, something to suit everyone. 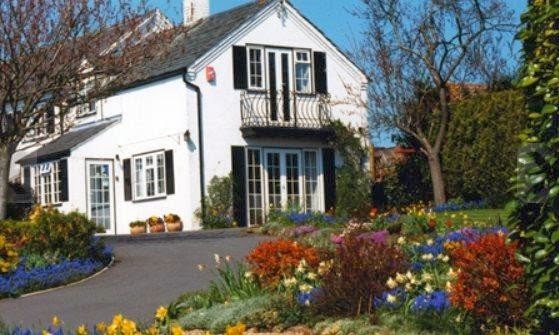 The Cavalaire B&B is an ideal location for your stay by the seaside. The farm is a very picturesque place, with the Galloway hills as a backdrop, planted up in the early 1920’s as a shooting estate. With lots of woods, walks, a loch, and parkland to explore, you could enjoy a day out just around the farm. Why not try out Hill walking, or take a relaxing bike ride down one of the many cycle routes; if you’re looking to have a more relaxing break you could have a wonder round Kirkcudbright art exhibition or Threave School of Gardening. 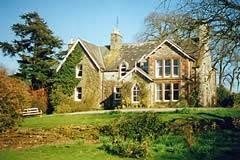 The Grange is a friendly, three star rated, family run bed and breakfast in the heart of Brecon town in beautiful mid Wales. Only minutes away from Brecon town centre shops, pubs, restaurants, canal, theatre (Theatr Brycheiniog) and walking paths and with our own free car park for guests, The Grange Guest House is the ideal base for your holiday in the Brecon Beacons National Park. Brecon is a market town which is famed for its ancient Cathedral, its Georgian architecture and it’s Jazz Festival (held annually in August). Brecon lies in the foothills of the Brecon Beacons and is a popular holiday base which offers a range of activities and leisure facilities. The town lies on the bank of the River Usk and is the terminus of the Monmouth and Brecon Canal. There are many attractions to visit including a Norman Cathedral with its own heritage centre, two museums: the South Wales Borderers Museum, which contains memorabilia of the Regiment's defence of Rourke's Drift and the Brecknock Museum which is situated in the Town's elegant former courthouse and is packed full of fascinating exhibits. 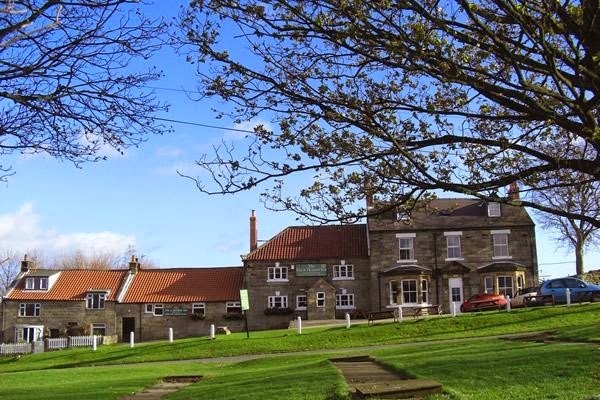 Former 16th Century Coaching Inn now a high quality residential country Inn and Restaurant. Set amidst the beautiful North York Moors, the licensed inn provides a range of cask conditioned beers and selected quality wines. 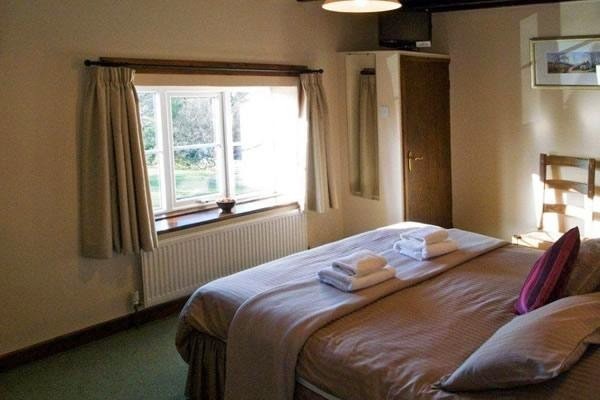 Comfortable en suite rooms overlook the glorious countryside and freshly prepared dishes are served every lunchtime and evening from our regularly changing menu using the best local suppliers and meat producers. Local attractions include the seaside towns of Whitby and Saltburn, coastal villages of Runswick Bay, Staithes and Sandsend. Other local towns include Pickering, Guisborough and Kirby Moorside. Major attractions include the North York Moors Railway, Castle Howard, Eden Camp and Flamingo Land Theme Park and Zoo. We are superbly positioned for walking or cycling on the moors and the free Moorsbus service can pick you up or bring you back from many local destinations. After an energetic day out enjoy a drink or meal in our oak beamed bar by the open fire or relax in our sauna. There are excellent views from our garden and outside seating areas. Car parking is available and garaging for bicycles. An ideal base to explore the Moors and the Coast.